Summer makeup is a bit of an oxymoron, isn’t it? 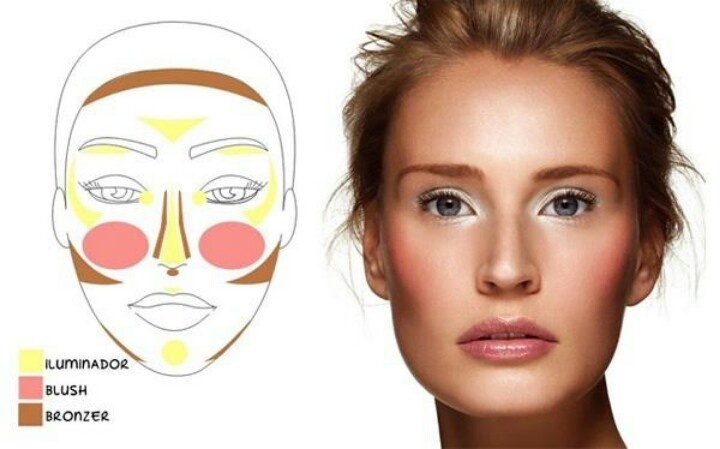 With the hot sun and frequent humidity, it’s actually all about wearing as little makeup as possible, and getting a natural, sunny glow. I recently mixed up my usual beauty routine to make the most of the sunny weather. I wanted to create a glowy look, while also hiding my blemishes and protecting my skin from harmful UVA and UVB rays. This is the result! To achieve a glowy look, my skin has to be thoroughly prepped first! I start by washing with warm water and my favourite facial exfoliator from Madara, and patting my face dry with a towel. It’s important to pat rather than wipe, as old skin and impurities will have been washed away to leave soft, new skin underneath. Next it’s all about the serum. I’m currently loving Laidbare’s Vitamin C Serum, which can be used day or night to promote balanced and hydrated skin. As it’s the summer, SPF is a must! My SPF skincare favourites include two brilliant moisturiser options, which should be applied next. I like to use a small amount at a time, and spread it across my finger tips to then pat gently into my skin. I pay special attention to my cheekbones and nose, as they’re the places I catch the sun the most. Once the moisturiser is dried in, it’s time to apply some oil! I use face oil to nourish my skin, and add a little sultry glow too. My latest obsession has been Oils of Heaven’s Avocado Oil. I use the dropper to put one drop on each cheekbone, and a third on my forehead, then daub in gently. Now it’s onto BB cream! I’ve come to love BB cream as it smoothes out my skin-tone without hiding my freckles. My current favourite is REN Skincare’s Satin Perfection BB Cream, which I apply with a foundation brush in a swirling motion. I only need two pea-sized drops to do my entire face, leaving my skin feeling light and soft. The product that really makes this glowy-look pop is my Ere Perez Highlighter in Sun Halo. This has a creamy texture, so I swirl my finger around the pot first and then daub it along my cheekbones, above my eyelids, on my forehead, along my nose, on my cupid’s bow, and a dot on my chin too. This diagram shows how to do so perfectly! To finish the look, I like to brush and top up my eyebrows using the dark brown shadow from the Ere Perez Palette in Beautiful, swipe the lighter brown across my eyelids, and use SPF lip balm to make sure my lips are supple all day long too. Great beauty products. I would love to try some of these as it would be beneficial for my skin. Keep sharing such products with the ladies so that they can keep their skin beautiful for a long time. Hey, Besma thanks for sharing your beauty secrets with the readers. All the products seem to be very helpful to increase the beauty but as I have a sensitive skin will it suit my skin type? Keep sharing such helpful posts.